Dystrophic Epidermolysis bullosa (DEB) is one of the major forms of EB. This rare inherited disease is characterized by cutaneous and mucosal fragility that cause generalized blistering of the skin and superficial ulcerations. For the moment, there is no cure for DEB. Treatment generally focuses on managing symptoms. It is then important to adopt companion care products in order to moisturize and relieve the damaged skin. The Hydrating Gel Plus HS is used as companion care by some people with epidermolysis bullosa. Thanks to its exclusive and patented technology, the Hydrating Gel Plus HS has a unique moisturizing and soothing power and helps repair irritated skin. With a safe and pure formulation, this cream is suitable for babies, children and adults. People affected by dystrophic epidermolysis bullosa often need large quantities of moisturizers. That is why we created the Pack of 3 tubes of Hydrating Gel Plus HS which offers a great saving over the purchase of 1 tube. If you need even larger quantities, do not hesitate to contact us. Do you suffer from epidermolysis bullosa? An exceptionally pure head-to-toe hydrating cream. It provides an intense and long-lasting moisturizing, soothes and helps repair skin. Suitable for babies, children & adults. 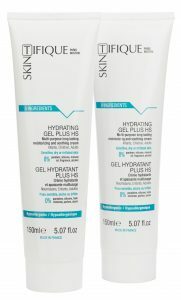 A pack of 2 tubes of Hydrating Gel Plus HS (5.07 Fl oz) which offers significant cost savings for persons who need large volumes of this product. Moisturizes, soothes and helps repair. 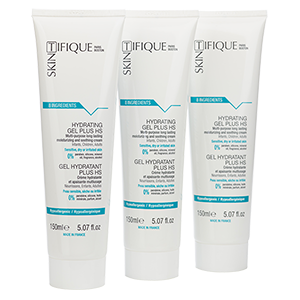 A pack of 3 tubes of Hydrating Gel Plus HS (5.07 Fl oz) which offers significant cost savings for persons who need large volumes of this product. Moisturizes, soothes and helps repair. 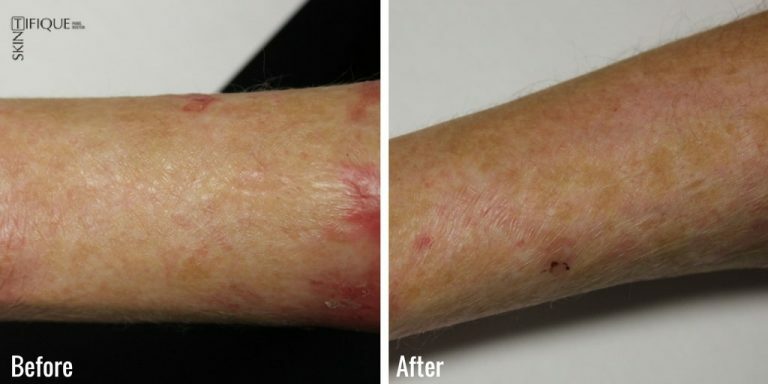 What are the results of Skintifique products on epidermolysis bullosa? Alexia, 35 years old, is a young woman who suffers from epidermolysis bullosa. She usually uses a classic moisturizer, which she applies at least twice a day: after her shower and after care / bandages. Alexia has started using the Hydrating Gel Plus HS and has quickly felt real benefits on the quality of her skin. After using it for one week, she has noticed that her skin is more elastic and less dry, indicating that these changes had also been noted by the nurses in charge of her cares and bandages. She also indicated that the gel really soothes the itching. In addition, Alexia had quickly decreased the quantity of Hydrating Gel Plus HS which she applies daily. Only one daily application is now needed, after her cares. I also use the Skintifique Hydrating Gel since December 2014. And for the last 15 days, I have started using the Skintifique Cleanser to cleanse my face. The gel is really very very hydrating. The Hydrating Gel Plus HS was recommended to me by another person suffering from epidermolysis bullosa, and that is how I discovered it. I think that it moisturizes very well, it has a pleasant texture, it penetrates well and doesn’t leave an oily film on the skin. I have gotten used to using it and it moisturizes more deeply and on a longer term basis than other creams. I use the Hydrating Gel on my body, mainly on my joints, thighs and back. It has helped me a lot. Since I have started using it, I find that my skin is much more supple, especially around my shoulders and main joints.